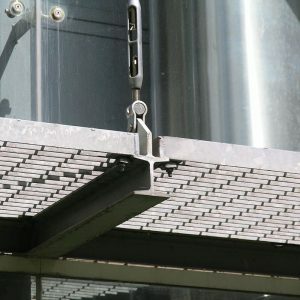 A light-weight grating is recommended for suspended or projecting structures combining the longest possible span with the least amount of support. 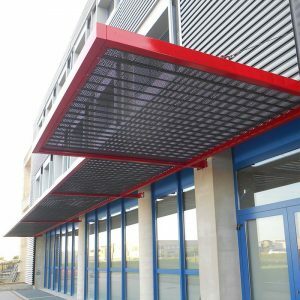 This is best achieved with pressure locked products which can be made with a deep flat bar, for maximum shading, of only 2mm thickness. 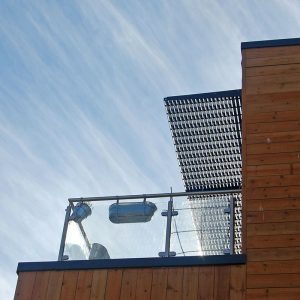 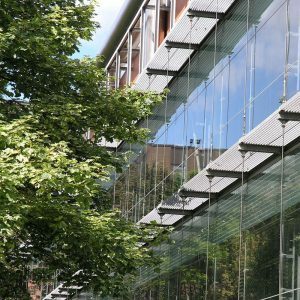 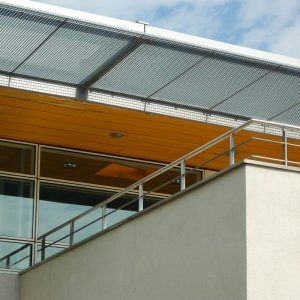 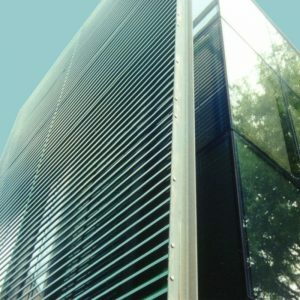 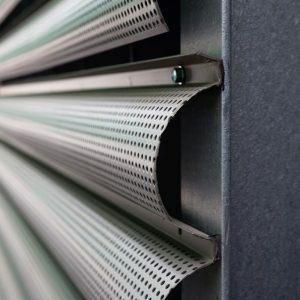 Alternatively, panels can be made from a grating, which will take a pedestrian loading, to perform the dual purpose of providing an external walkway for cleaning a glazed elevation. 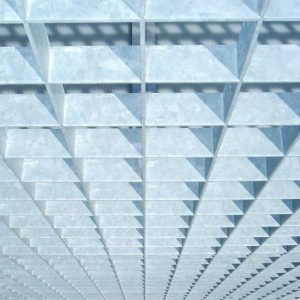 Lang+Fulton can advise on the type of grating for a particular span and/or loading. 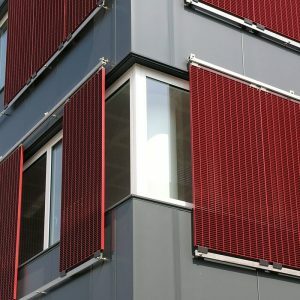 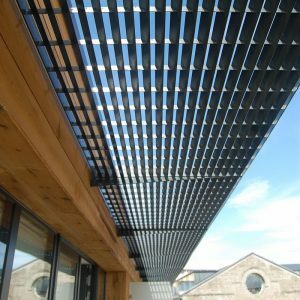 Solar screening can also be provided by fixed vertical screens or panels which can be designed to run on rails concealed within a soffit. 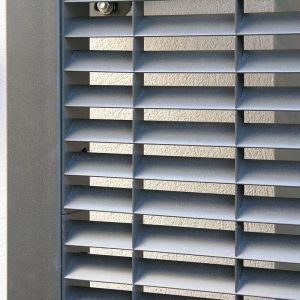 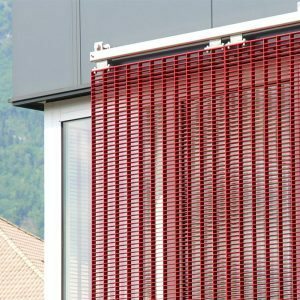 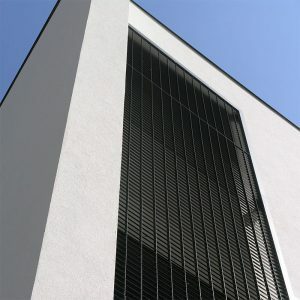 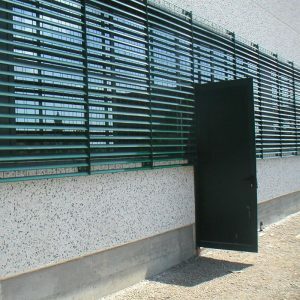 For a greater degree of shading, screens can be made using Italia products or the Delta range with a 45 degree inclined louvre set at 33, 44, 66, or 88mm centres.